When Running with the Demon appeared two years ago, it was recognized at once as a masterpiece in the making, a bold departure that promised to revitalize contemporary urban fantasy and showcase Terry Brooks's vast storytelling gifts as never before. The second book of the series, A Knight of the Word, raised expectations even higher. 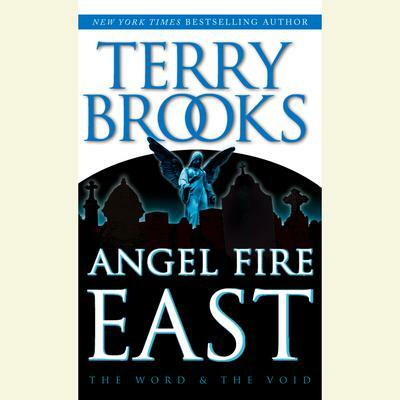 Now, in Angel Fire East, sure to be hailed as his most ambitious, most accomplished work yet, Terry Brooks brings his bestselling epic trilogy of good and evil to an unforgettable close. As a Knight of the Word, John Ross has struggled against the tireless dark forces of the Void for twenty-five years. A rootless wanderer scarred as deeply by the magic he wields as by the unspeakable horrors he has witnessed in its service, Ross is driven by dreams that show the world reduced to blood and ashes by the Void and its minions. The grim futures he dreams each night will come true unless he can stop them now, in the present. But for all his power, John Ross is only one man, while the demons he hunts--and which hunt him in turn--are legion. Then Ross learns of the birth of a gypsy morph, a rare and dangerous creature formed of wild magics spontaneously knit together. If he can discover its secret, the morph could be an invaluable weapon against the Void. But the Void, too, knows the value of the morph, and will not rest until the creature has been corrupted--or destroyed. Desperate, Ross returns to the town of Hopewell, Illinois, home of Nest Freemark, a young woman with magical abilities of her own. Twice before, with the fate of the world hanging in the balance, the lives of Ross and Nest have intersected. Together, they have prevailed. But now they face an ancient evil beyond anything they have ever encountered, for a demon of ruthless intelligence and feral cunning awaits them in Hopewell. As a firestorm of good and evil erupts, threatening to consume lives and shatter dreams, Ross and Nest have but a single chance to solve the mystery of the gypsy morph--and of their own profound connection.